If you look across the wide expanse of the world wide web there’s no shortage of ways to become a faster swimmer. There are different types of technique. There are an endless number of swim practices to try. And of course, there are the considerations of dryland and nutrition. It’s that little something-something that keeps you grinding in the pool when you are exhausted. It’s the same thingy that keeps you focused during that gnarly main set when you’d rather let your mind wander off. 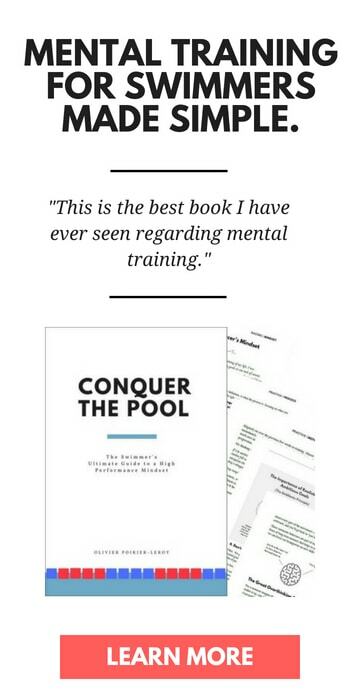 Instead of getting bent out of shape about how you aren’t as talented or as tall, resolve to be the mentally toughest swimmer in the pool. 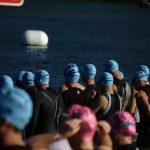 It can be humbling to have to swim and race against the athlete who has won not only the genetic Powerball, but also seems to have more talent than they know what to do with. 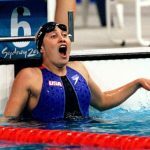 While a swimmer might mistakenly say that “I’ll never be as good as them, so forget even trying” and label that as humility, true humility is understanding what your gifts and talents are and focusing on those. Instead of wishing they had what others possessed or could do, or feel entitled to something others have, our mentally tough swimmer is humble and grateful for what they do have and are eager to exploit their abilities to the maximum. Have a ceaseless curiosity about their own limits. I’m wary of swimmers who seem convinced that they know what they are capable of. That they “can’t” do something (even though they have never really tried). Of course, this conviction is usually shaken and finally broken when they do eventually break through. 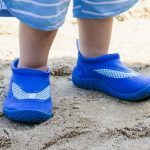 Unfortunately, they also wasted a lot of time and training in “can’t” mode, making progress in the water take longer than it would if you were willing to be more curious about your self-perceived limitations in the water. 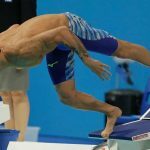 Mentally tough swimmers are curious about what they are capable of doing in the water, and as a result, are more willing to test out the outer reaches of their abilities more regularly. 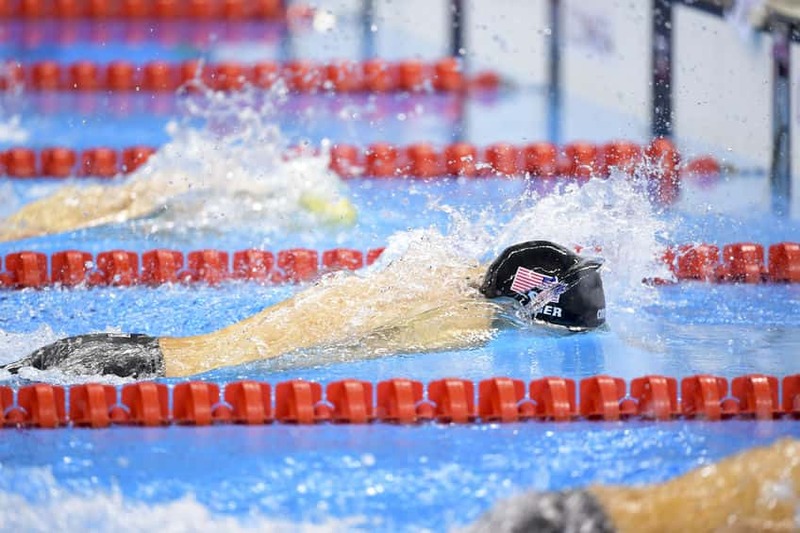 As a result, there are far more opportunities for improvement along the way compared to our swimmer who is so certain they “can’t” do something. Similarly to the swimmer who simply “can’t”, there is the swimmer who won’t. They won’t take criticism—even when it is to their direct benefit to do so. Being coachable is a big part of being mentally tough, and perhaps not for the reasons you might think: often we associate mental toughness with stubborness. Being stubborn with not giving up is different from being too stubborn to learn from others, your successes and your failures. We all experience frustration, disappointment, and outright grumpiness over the course of the season. We stub our finger on the bulkhead. Cut our finger open on a cracked blade on the lane rope. Blow a knee while in the gym. The emotions that follow can either hinder you further by pushing you to withdraw and give up, or you can use that surliness and upside-down-frown to propel you to bigger and better things in the pool. A fascinating study that looked at the mindsets of super champions versus the “almosts” showed a marked difference in how the elite perceived and reacted to adversity—while the initial frustration was identical with both groups, our high achievers used that anger and frustration to double-down on their training and come back stronger than ever. Have the patience to unstuck yourself. 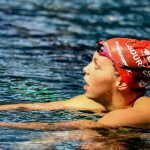 Mentally tough swimmers have a patient approach with those pesky practices and sessions where things aren’t going their way. You go to the pool, and things just feel off. Your stroke can’t get it together. Your feel for the water is floating away from you. And your legs may as well be dragging along the bottom of the pool behind you. So, what do we do? Throw in the chlorinated towel? Get frustrated and bail? 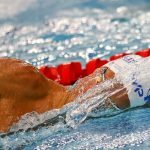 Nah—our mentally tough swimmer slows things down, does some drills to increase their feel for the water (closed fist freestyle, FTW), and concentrates on doing one or two things really, really well (supremely tight streamlines, for instance). This patience is eventually rewarded–rarely immediately, but with some perseverance the big breakthrough is right around the corner. I’ll really start working hard when I am in better shape. When I have access to a better facility I’ll do more work on my starts. I didn’t sleep that great last night, I should probably take today off. 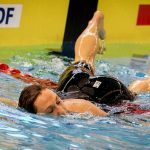 Mentally tough swimmers don’t just do things when things are easy, or when they are convenient, or when they feel like it. They understand opportunities and time are limited, and act with a sense of urgency. Build routines that support your goals. The stop-and-go athlete is a common sight on pool decks: they are the swimmer that shows up, fired up and ready to lay waste to some workouts…for about three days. You don’t see ’em until they are motivated again. Till they “feel like it.” Forever waiting for that deep and unyielding motivational wildfire to seize upon them. For the mentally tough swimmer, motivation hardly comes into the picture. Sure, it’s there, but it’s not the mitigating factor in what kind of effort they are going to put in at the pool. Their routines, their process are what dictate whether or not they are going to show up, not how motivated they are (or aren’t). Mental toughness is something that is talked about at length with our sport. 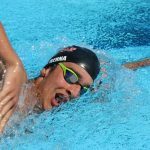 It’s frequently cited as a major factor in how successful a chlorinated athlete will become over the course of their swimming career. It’s something you can and should be working on with regularity in your training. Seize upon the daily opportunities and challenges that present a chance to harden your mindset (and confidence). Open up your mindset so that you aren’t limited by what you “feel like” doing from moment to moment. And show up on deck with an optimistic and challenge-oriented mindset at your next practice.